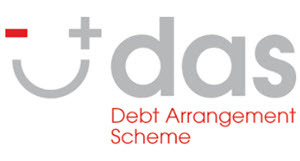 The Debt Arrangement Scheme (DAS) is available in Scotland only and is overseen by the Scottish Government. Under this scheme, you can apply for a debt payment programme (DPP). In England, Wales and Northern Ireland, other solutions are available instead, such as the Debt Management Plan (DMP). The idea with a debt payment program (DPP) is that you make a monthly payment to gradually pay down your debts at a pace that is possible for you to keep. Therefore, a debt payment program is only possible if you have any money left over in your monthly budget do carry out monthly repayments. Also, that money must be sufficient to pay off your debts within a reasonable time-frame. If it is not, other solutions might be more suitable for you, such as sequestration. With a DPP, you will not be making individual payments to individual creditors. Instead of making payments to several creditors each month, you make one monthly payment to a special payment distributor and that payment is shared between the different creditors. Freeze any interest or charges being applied to your debts. Refrain from taking any further enforcement action against you. Stop contacting you asking for payments. Of course, if you don’t hold up your end of the agreement, these benefits can be revoked and you can be returned to a situation where you are facing escalating interest costs, doorstep collectors, court orders, etc. The payment distributor will retain a maximum of 8% of each payment. This is set in law and your creditors will remove this amount of money from the debt owed, even though they wont receive the money. Example: You owe a total of £10,000. Throughout the DPP, you pay back £10,000. Of these, only £9,000 goes to the creditors since £800 goes to the payment distributor and £200 to the Accountant in Bankruptcy. Still, when you have paid £10,000 your debts will be gone. You do not have to pay an additional £1,000 to cover the administrative costs of the scheme. Important: Some organisations will charge a fee for setting up a DPP for you. Please note that there are organisation, including charities, that will set up a DPP for you without charging a fee for it. How can I get an DPP under DAS? Your debt payment program (DPP) must be managed by an approved money advisor. The money advisor will help you put forward a proposal to your creditors. The creditors then have 21 days to reply. Even if creditors reject the proposal, the DAS administrator can still approve the DPP if the administrator deem the DPP fair and reasonable. If your DPP is approved, you will make monthly payments to a payment distributor. This distributor will distribute the money among the creditors. The DAS register is an online register with information about everyone who is currently on a DPP under DAS or is going through the DPP application process. 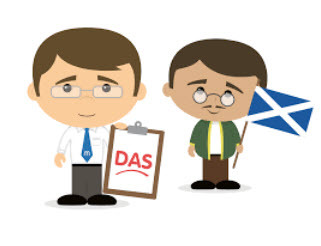 The DAS register is public and anyone can access this register online. When will my DPP end? The DPP will end when you have made all the monthly payments. You can of course also end the DPP prematurely by paying of all remaining debt before the DPP is due to end. A DPP can also end because all the creditors included in the DPP agree to complete it before it is due to end. If anything happens to your financial situation while you are on a debt payment plan (DPP) under DAS, it is very important that you notify the payment distributor and the DAS Administrator. The DAS Administrator will evaluate the new situation and come to a decision. It is possible for a reduction of the monthly payment to be approved, but not if it makes the repayment rate too slow to be reasonable for the creditors. If you are suffering from what is known as a “short term income shock” you can apply for a payment holiday instead of a monthly payment reduction. A payment holiday is a grace period during which you do not make any monthly payments towards your DPP. A payment holiday can not be longer than 6 months and can only be approved if your disposable income has been reduced by at least 50%. Example of factors that can cause a short term income shock are unemployment, employment changes, parental leave, divorce, separation, or being to ill to work at all or as much as before.